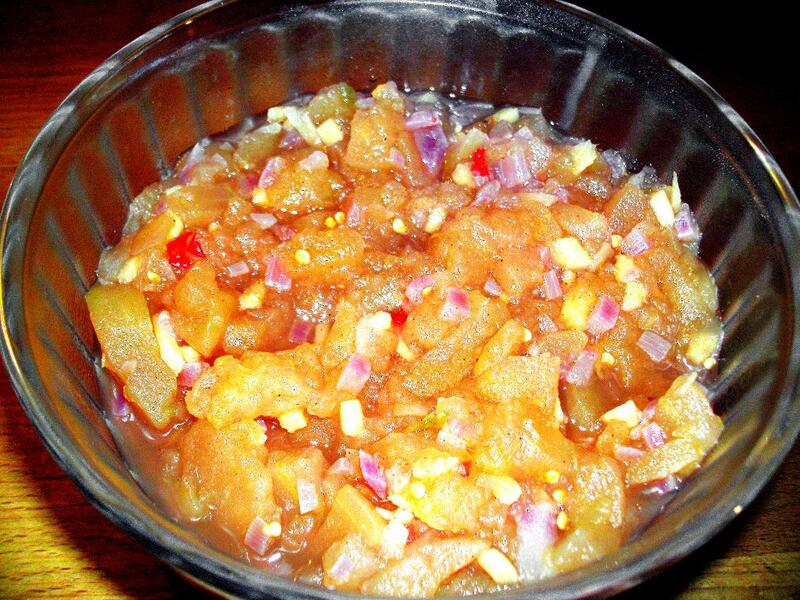 This entry was posted in Cooking and tagged Apple, Chutney, Ginger.Chilli, Spicey on 2013/01/31 by deamentiaemundi. Sun on the snow. A rare event here. That small and tiny amount of snow fell—with a nationwide warning three days in advance—and chaos ensued. As it does every bloody year. This entry was posted in Panorama, Weather and tagged Backyard, Chaos, Snow, Traffic, Winter on 2013/01/22 by deamentiaemundi. Take some sardines, clean them, salt and pepper them, flour them a bit if you want, put them in a hot, oiled (olive oil would be apt but not a must) pan (charcoal or even a nice open fire would be way better. No flouring is needed in those cases! ), roast them until they are nicely coloured and the skin is crispy. If you used a pan: add a good knob of butter together with some garlic and chillies. let if foam up and toss and turn the sardines in it for a minute or two. The garlic shouldn’t get a colour at all, most sorts of garlic tend to get quite bitter when brown. 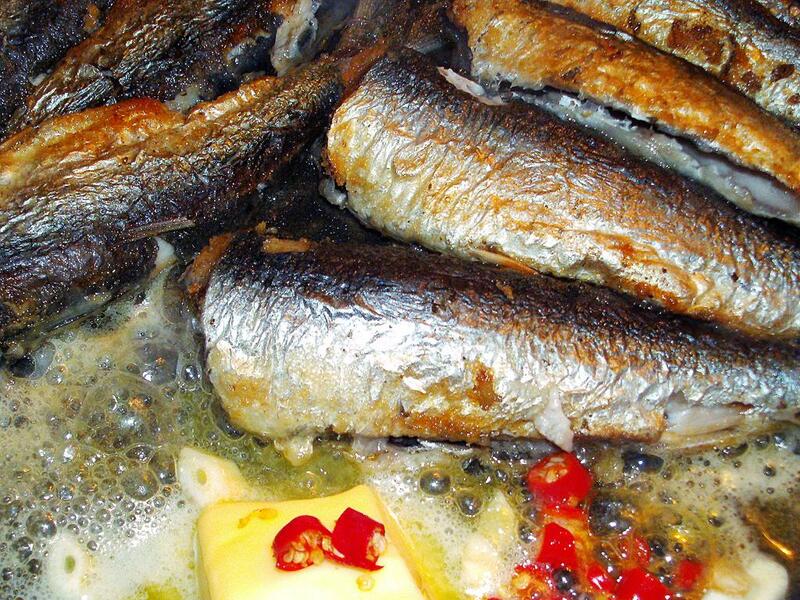 This entry was posted in Cooking and tagged Butter, Chillies, Garlic, Recipe, Sardines on 2013/01/19 by deamentiaemundi. I sweare, I had some herbs left somewhere! 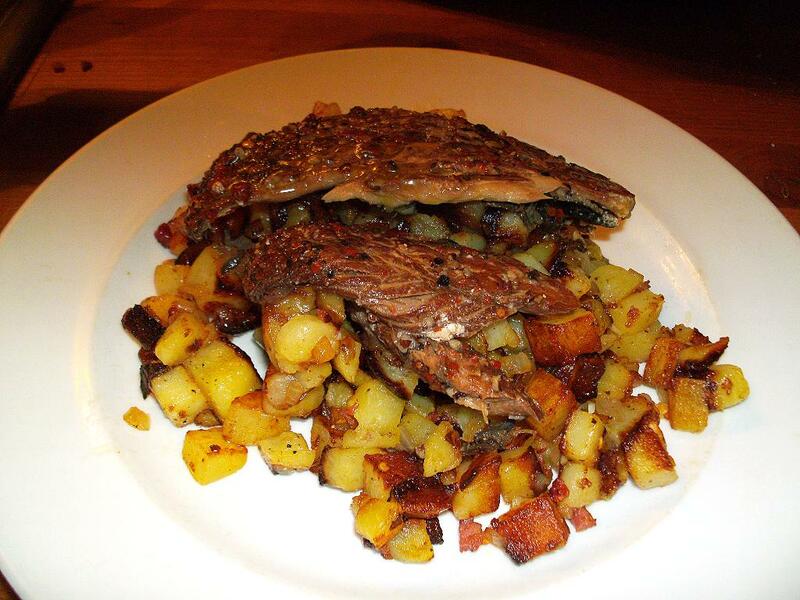 This entry was posted in Cooking, Vegan and tagged Bratkartoffeln, Cholesterol, Home Fries, Vegan on 2013/01/14 by deamentiaemundi. Put the whole egg or the egg yolk in a tall jar, add mustard, salt and pepper (you can use black pepper, tastes better but leaves black spots) and the oil and put an immersion blender into the jar, way down to the ground. Switch it on, highest gear, and pull it slowly out. That will get you a basic mustard-mayonnaise. Some people like to add a dash of lemon juice instead of the vinegar (I do). That mayonnaise might be to thin, depending on the size of the egg. No problem, simply add some oil, tablespoon for tablespoon, and do the blender thing described above. For a vanilla mayonnaise do the same without the mustard. Should give about 200-250 ml of mayonnaise with about 55-65% fat. This entry was posted in Cooking and tagged Mayonnaise, Remoulade, Sauce Andalouse, Sauce Tartar, Tomato Sauce on 2013/01/06 by deamentiaemundi.